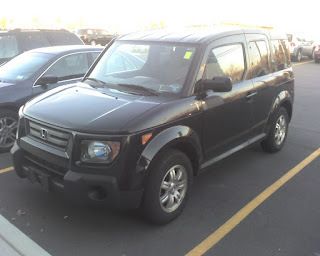 So I got what I believe to be a good deal on a 2007 Honda Element today from West Herr Honda in Lockport. They have to detail it and give it new brakes and tires, so I don't get it 'til Monday or Tuesday ... But I'm psyched ... Cause this is the car I've wanted for the past few years.